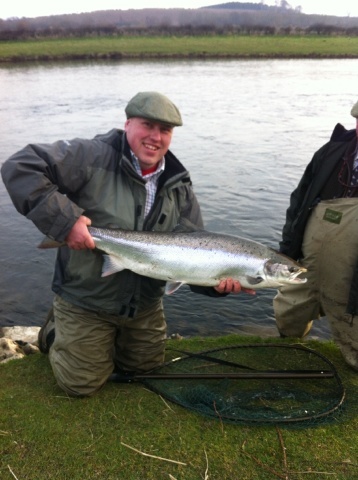 Head Ghillie Ronnie McElrath says: “I have waited nearly 20 years for a spring fish of this size on the beat”. FishTweed Largest Salmon Competition is run in conjunction with Borders Gun Room of St. Boswells for the largest salmon caught each month for the whole of season 2013 from the FishTweed beats. Please note that fish will only qualify, if they have been timeously reported, and the beat regularly reports catches to FishTweed. Judges ruling is final.